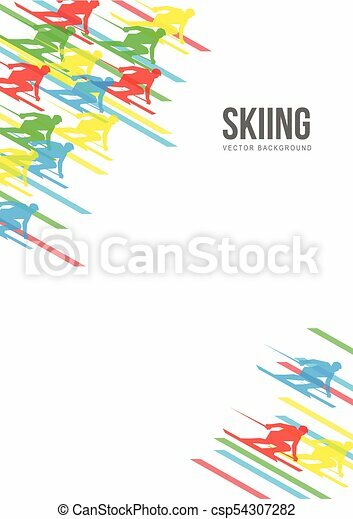 Alpine skiing vector background - lot of multicolored skier silhouettes moving fast. slalom sport team and white space for text. a4 size poster or card template. 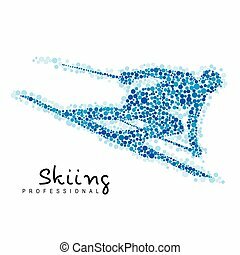 Alpine Skiing vector background - lot of blue skiers silhouettes moving fast. A4 size sport poster template. 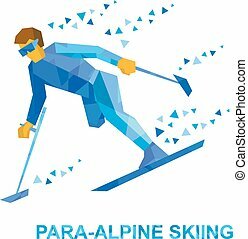 Winter sports - para-alpine skiing. 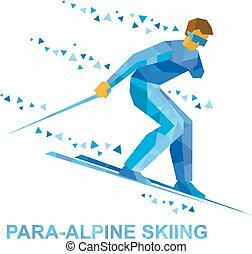 Disabled skier running downhill. Sportsman with physical disabilities ski slope down from the mountain. 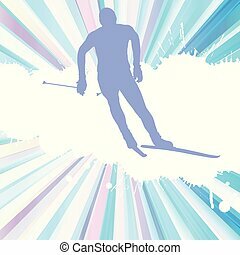 Flat style vector clip art isolated on white background. 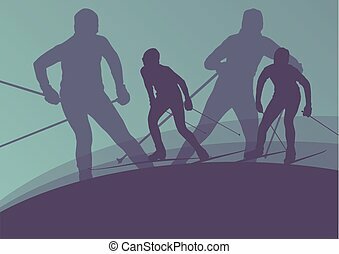 Lot of people skiing and skating on white background. 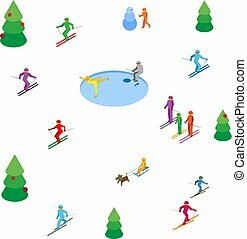 Winter sports or holidays concept. 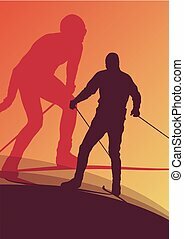 Isometric 3d vector image clip art. 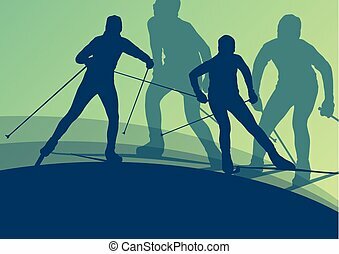 Lot of colored people skiing and skating on white background. 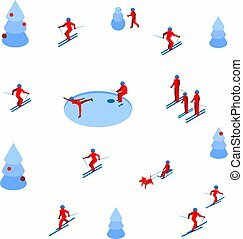 Winter sports or holidays concept. 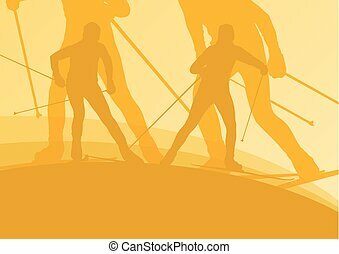 Isometric 3d vector image clip art. 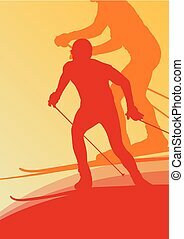 Winter sports - skiing. Sportsman rides fast on ski. 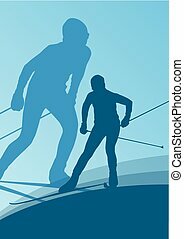 Athlete silhouette with border isolated on blue background. Logo template. 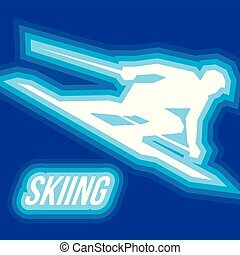 Winter sports - skiing. Sportsman rides fast on ski. 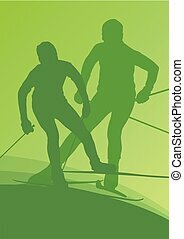 Athlete silhouette created from dots isolated on white background. Logo template. 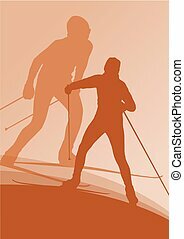 Winter sports - Skiing. 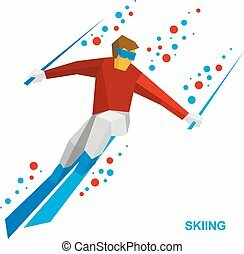 Cartoon skier running downhill. Sportsman ski slope down from the mountain. Flat style vector clip art isolated on white background. 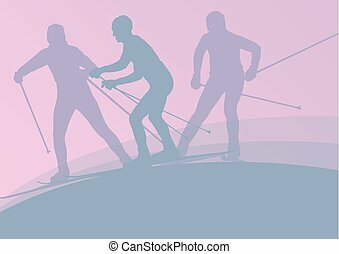 Winter sports - Skiing. 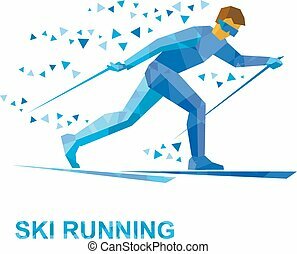 Cartoon skier running. 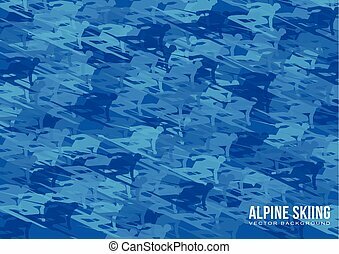 Athlete with blue patterns runs on skis. 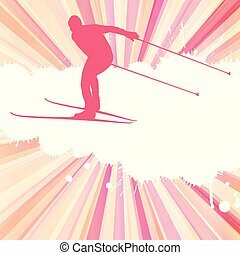 Flat style vector clip art isolated on white background. 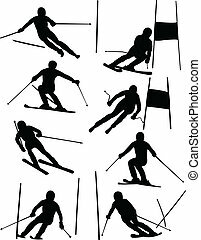 Winter sports - Skiing. 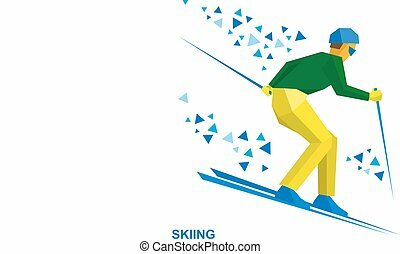 Cartoon skier running. 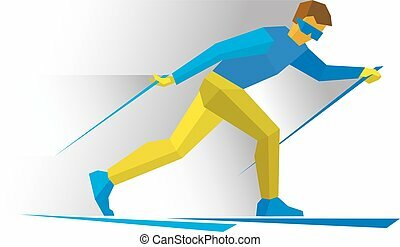 Athlete in blue and yellow runs on skis. Flat style vector clip art isolated on white background. 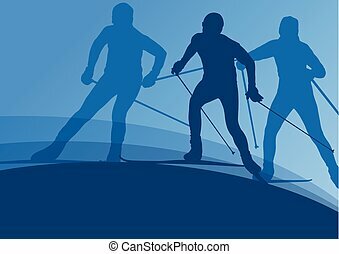 Winter sports - Skiing. 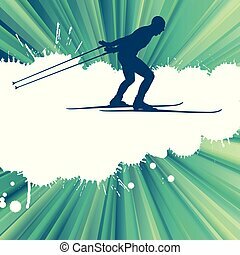 Skier running downhill. 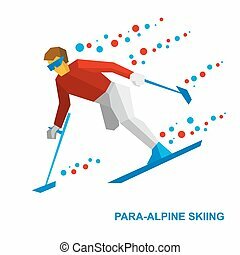 Cartoon sportsman ski slope down from the mountain. Flat style vector clip art isolated on white background. 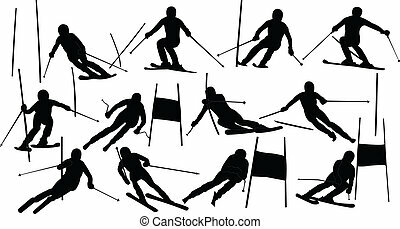 Winter sports - Skiing. 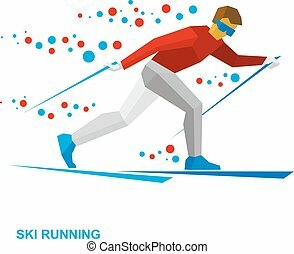 Cartoon skier running. 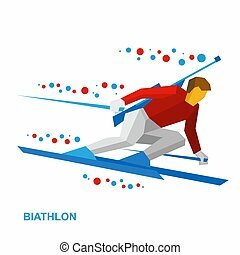 Athlete in red and white runs on skis. Flat style vector clip art isolated on white background.